I first came upon George William Russell on a sunny June day last year. I was reading The Artist’s Way, which recommends that participants take themselves out on an “artist date” each week, something that will help them to further their own work. Something beautiful, something alone. On that day, I was struggling, finding it hard to drag my creative energies and desires into the material world. I had recently left an all-consuming and high-responsibility job within the tech industry in order to spend a few months on pursuing “my dreams”. Such as they were, these dreams involved putting pen to page with laser focus and finishing the novel I’d started the year before. I thought I knew what I was doing, but I didn’t really. I just launched in on day one and treated it like a new high-powered job. At 9am on the Monday morning I was sitting there with new stationary and laptop, primed to just start writing and be completely amazing at it. I wasn’t. I was shell-shocked and creatively stunted from months of putting every inspiration off until I could do it “properly”. Now that I had the time, I couldn’t wrench the words out as easily as I thought they “should” come and I couldn’t boss them onto the page in the right order. I cried a lot. I smiled and said “Great!” when anyone asked me how the writing was going. I felt like a failure, I felt like a worm. It was exhausting. But I still pushed myself. I tried and tried each day. I meditated. I wrote down my dreams. I did writing exercises. I wrote little bits of my story (that today make me cringe when I come across them). I did the “artist date” each week. So, on that sunny June day last year, several weeks into this new creative and free life that consisted largely of weeping with frustration and self-disgust, I chose to go to the Dublin Writers Museum for my artist date of that week. Up O’Connell street I walked, and that day it felt like I really saw everyone who walked past me. As if for the first time. 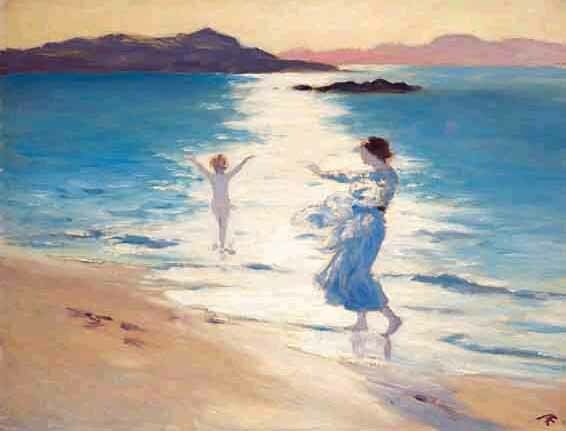 I was so accustomed to a certain way of living: working in the office all day and then purposefully striding wherever I was going in the evening. Now, I was learning how to live a different life, and part of the lesson was seeing things I had ignored. I saw a lot of misery, those who never benefitted from the Celtic Tiger but were still stung by the recession. Drawn faces, bodies tensed against the next indignity the world might throw at them. Those discarded by society and left to fend for themselves. I saw a homeless man counting steps on manhole covers and checking his bag, counting steps on manhole covers and checking his bag and my heart broke then and has been leaking ever since. Anyway, I went to the Dublin Writers Museum and paid my €7.50 in and immediately felt guilty about my crime of “spending money without a job” and the associated crime of “spending money on frivolous things amidst the suffering of others”. But I did it anyway. I looked at the exhibits within the large Georgian house and tried to will the literary power of their past owners into my soul. There were lots of inspiring things to be seen and the tourists took surreptitious photos of typewriters and chairs belonging to famous dead people. But I was instantly drawn to a book in a glass case with the author title of “Æ”. Who was this person? I became intensely interested in finding out more about this writer, and as soon as I left the museum (with a copy of “Melmoth the Wanderer” in my bag from the museum shop – because who can ever leave a bookshop empty-handed? 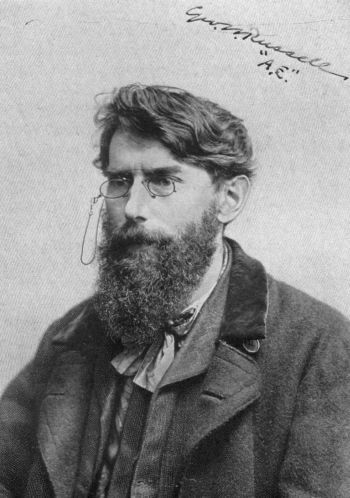 ), I sat for a cup of tea and began my feverish research into Æ, also known as George William Russell. I learned about when he lived, and what he wrote and what he did. The more I learned about him, the more I loved him. Living from 1867-1935, he was a polymath: writer, editor, critic, poet, painter and community leader. He was an important member of the literary scene, the friend of WB Yeats who introduced him to James Joyce. He was a mystic and a nationalist, and his house in Rathgar was a meeting place for artists and change-makers of the time. Reading this, I felt a kinship across the years, regardless of everything else that divided us, in that sentiment we were one. The only way we could have this connection (albeit one-sidedly) was because when he was alive, he spent his time outside of that office writing and writing. 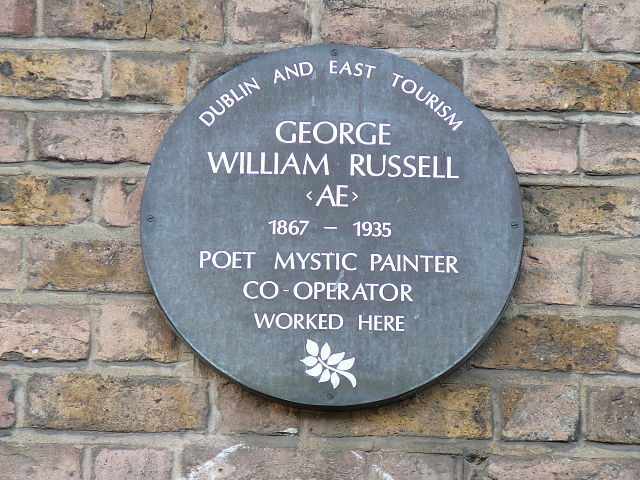 Now when I go into the city centre, I like to get off the bus at Merrion Square to “visit” George William Russell’s office building on my way in to write write write in the Fumbally Exchange. I think of him in there on a hot day, waiting to get out and write, and I resolve that since I am already out here, I won’t waste any time waiting.